We took this basic truck added a 4″ lift kit 18″ wheels and off road tires. 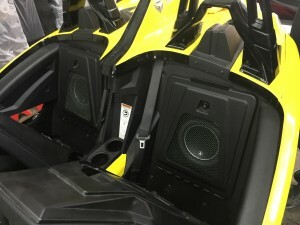 We installed a full Alpine audio system with a custom box for bass. 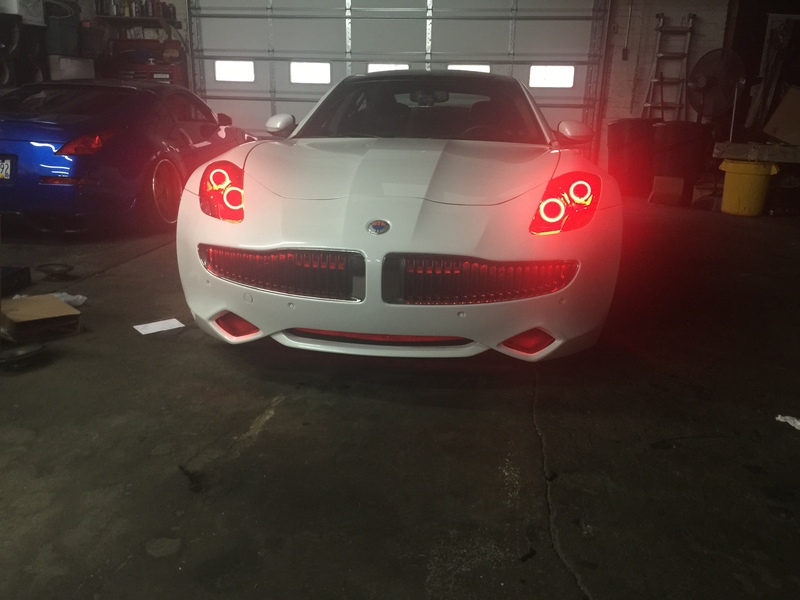 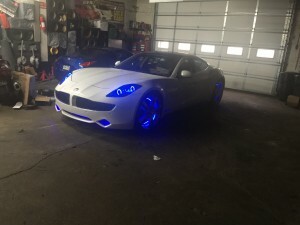 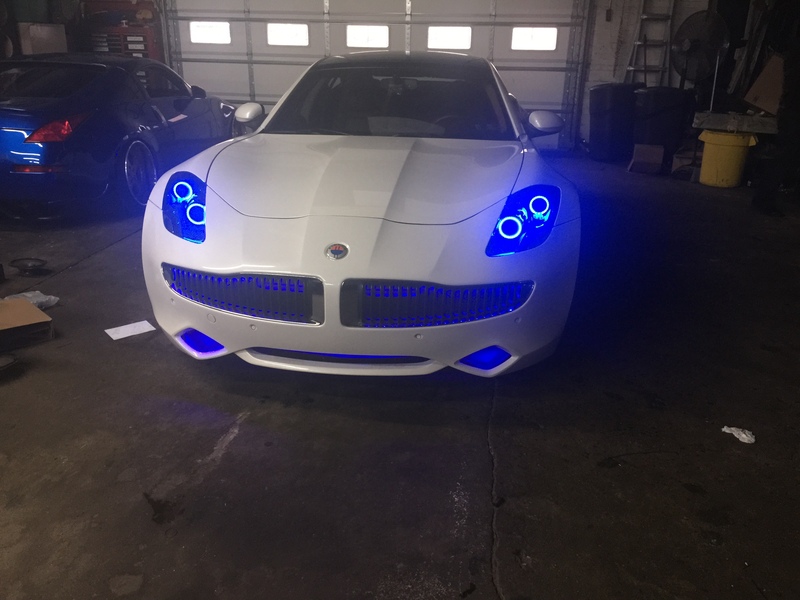 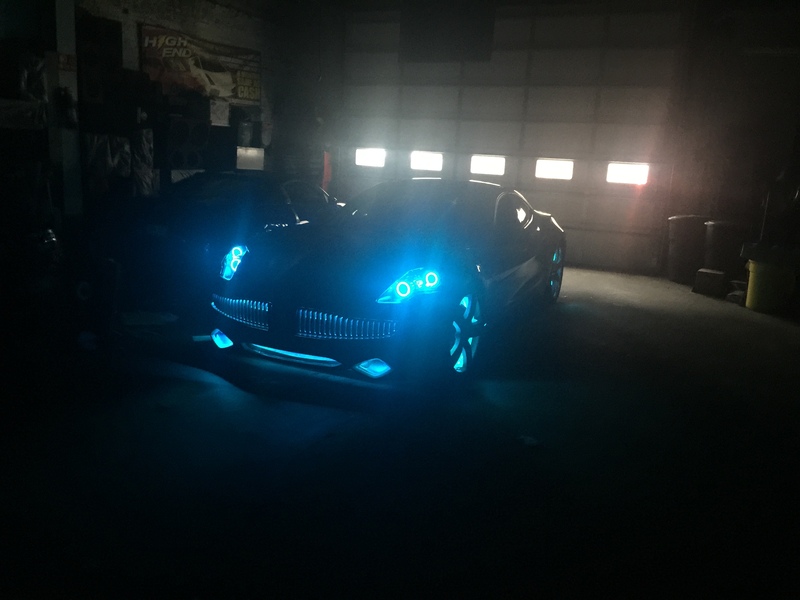 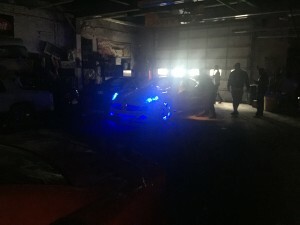 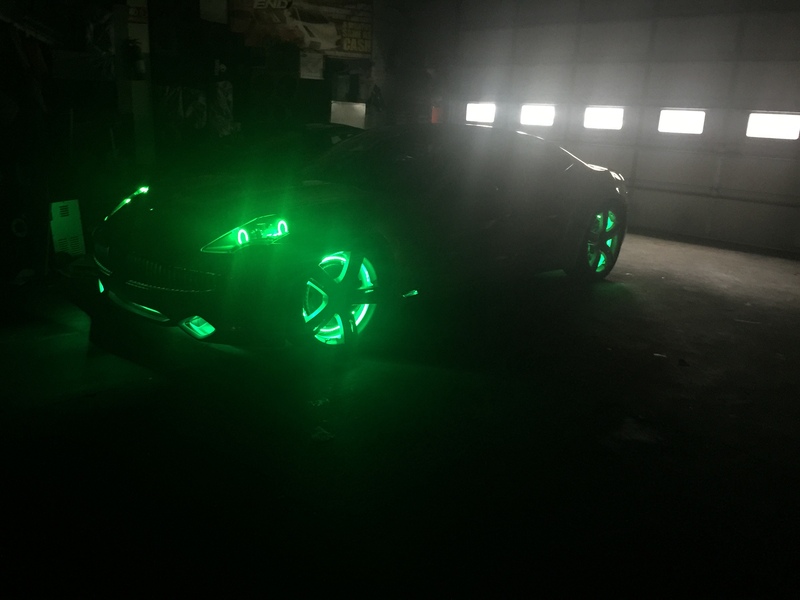 We took this beautiful rare car added custom lighting in and out. Custom halos in head lights and wheel lights. 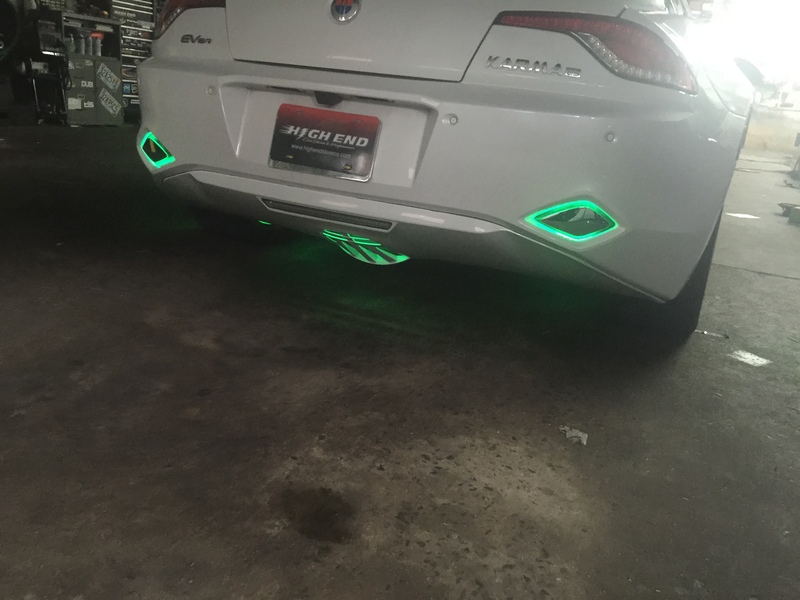 Installed lighting in his grills throught out vehicle. We also did interior lighting. 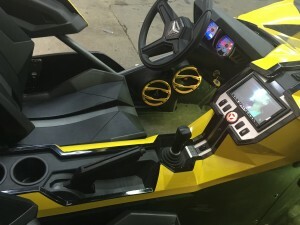 Also added a 2 camera recording system with DVR for ultimate security. 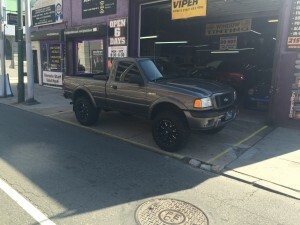 We also painted factory lenses black . 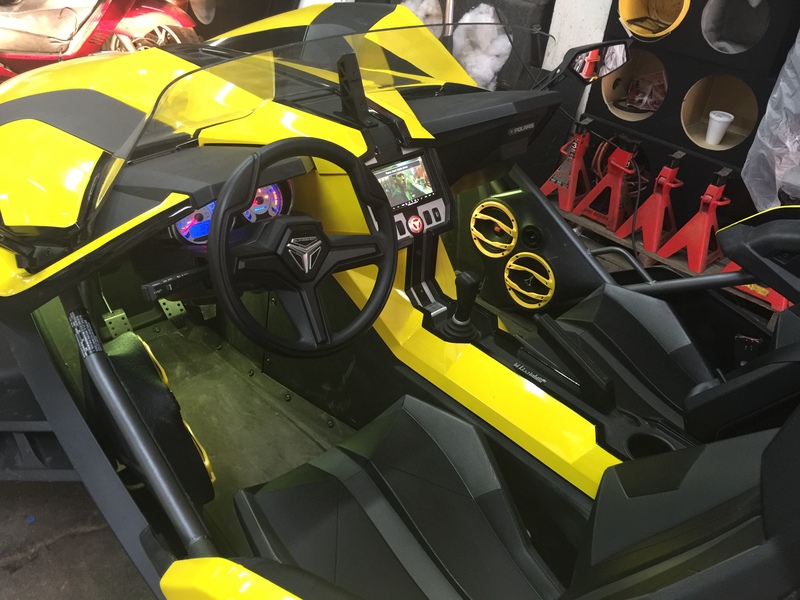 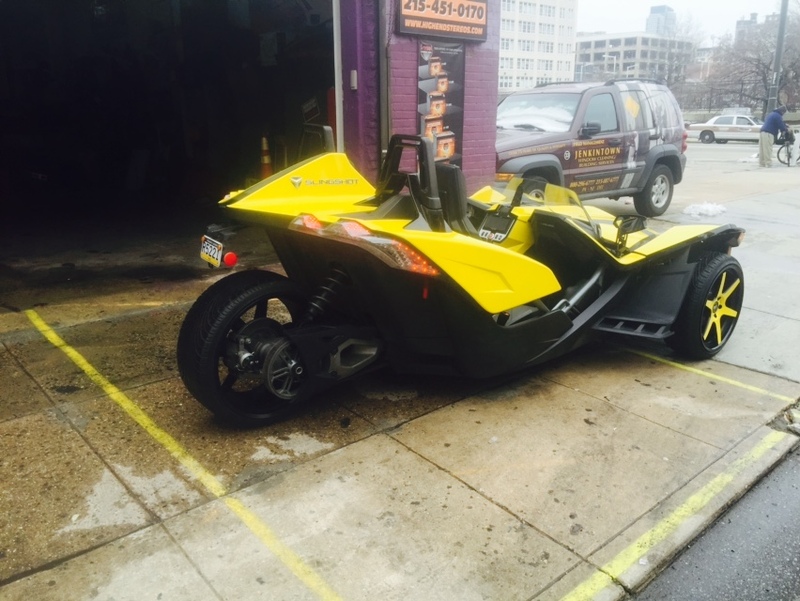 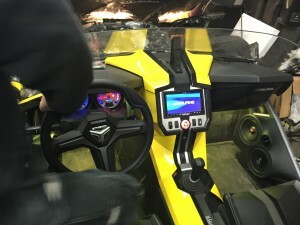 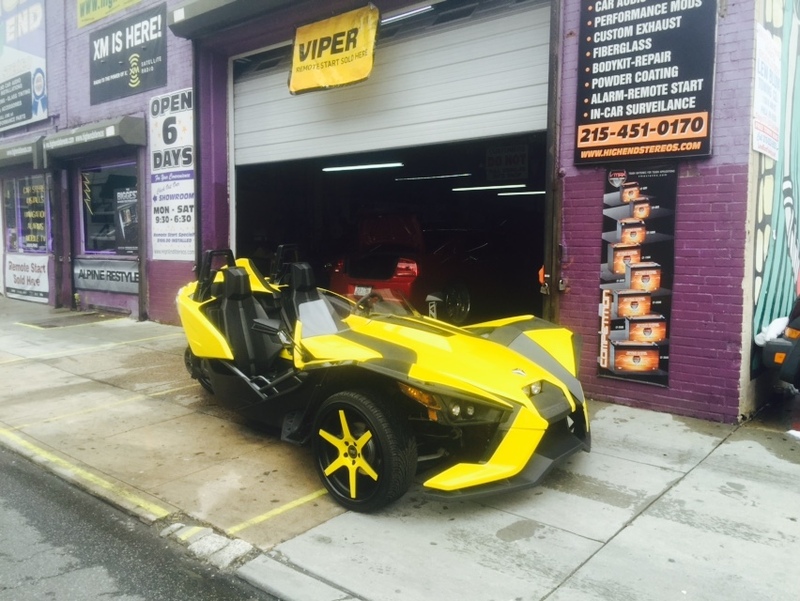 This Polaris Slingshot was brought to Highend to get a serious custom system. It has a custom yellow wrap with custom Concept wheels that were also wrapped in Yellow.